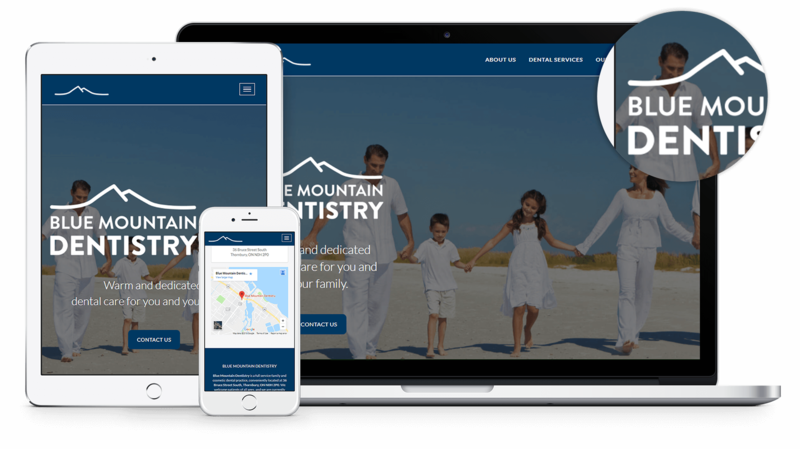 We are happy to announce the launch of a new website for Blue Mountain Dentistry! Blue Mountain Dentistry describe themselves as being privileged to carry on the legacy of a dental practice that has been serving the residents of Thornbury, The Blue Mountains, and adjoining areas for over 60 years! Continuing education, advanced technologies, and modern materials allow them to provide high-quality treatments that are effective and comfortable. They blend the art and science of dentistry with an evidence-based approach, giving every client personalized attention and professional care and they design individual treatment plans to achieve optimal oral health for you. The new website has a very fresh and modern look combined with classic colours. Patients have access to a very user-friendly platform that jumps from one section to another just by scrolling through the page or clicking through the many bar. There is a convenient form where patients can “Book Online” appointments from the comfort of their own homes. The new website can be accessed on all devices such as : smartphone, PC or laptop and any tablet since it has a responsive design.